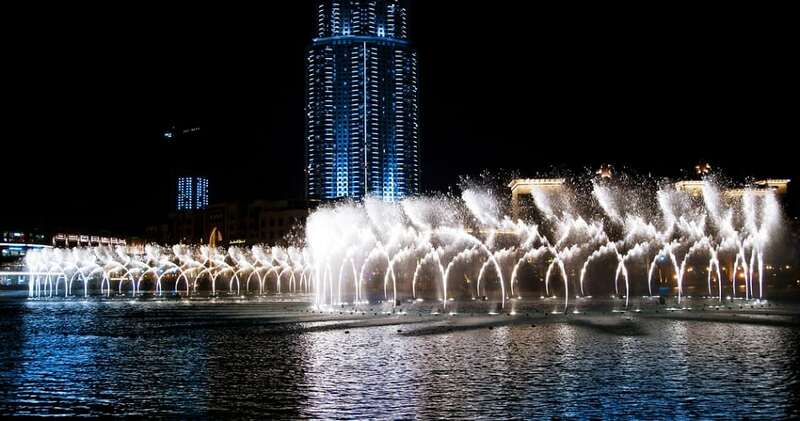 The 900 ft long fountain sits on a 30-acre lake in front of the world’s tallest structure, the Burj Khalifa. The fountain features five rings of water jets capable of shooting water 50 stories high, and has 6,600 LEDS and 25 color projectors that can display various images. The center beam of light can be seen 20 miles away, making it the brightest point in the Middle East.